Dose-dependent reduction in asthma exacerbations for patients treated with extrafine-particle inhaled corticosteroids in an adult UK asthma population; a result not seen in patients treated with fine-particle ICS. Singapore, 19th April 2017. Asthma is a progressive inflammatory disease that affects both the large and small airways in the lungs. Of the 30 million European patients with asthma, 5% suffer from the difficult-to-treat form of the disease1,2. The main goals of asthma control are to reduce the frequency and intensity of symptoms and decrease the likelihood of future asthma attacks3. 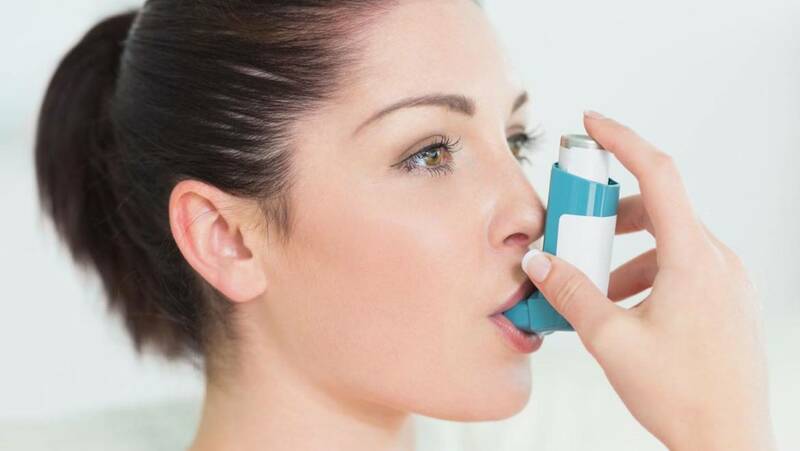 However, for patients with more severe asthma and frequent exacerbations, this therapy may not be sufficient to control their symptoms and prevent exacerbations. Inhaled corticosteroids (ICS) are the preferred treatment for long-term control of persistent asthma symptoms and are now available in different forms; the traditional inhaler devices that produce fine particles and newer pressurised metered dose inhalers (pMDI) that generate smaller, extrafine particles4. Previous studies have shown that the use of extrafine-particle ICS has additional clinical benefits5 attributed to the smaller size of the drug particles. This is further supported by real-life studies where extrafine ICS were found to be better at controlling asthma symptoms than fine formulations, and at lower doses6. A recent, novel, observational study carried out by the Observational and Pragmatic Research Institute (OPRI) and led by Professor David Price, set out to define the efficacy of extrafine-particle ICS in asthma control in a real-life, broad patient population. Researchers from OPRI investigated whether ICS particle size affected the dose needed to better control asthma in patients, a dose response study. The study obtained data from the world’s largest validated computerised database of primary care records, the Clinical Practice Research Datalink (CPRD)7, allowing access to details of ICS prescriptions given by general practitioners, as well as other anonymised patient information. Patients prescribed higher doses of extrafine ICS had a greater reduction in severe exacerbation rates compared to low or medium doses. This dose-response effect was not seen for patients treated with fine-particle ICS. This study indicates that at higher doses, the extrafine formulation of ICS may be better at reducing exacerbations in patients who suffer from more frequent events. Despite recent advances in respiratory treatments and inhaler devices, patients with asthma, continue to suffer high levels of morbidity and mortality. Effective treatments, such as those improving drug delivery and distribution, will better control this disease. Price D, Fletcher M, van der Molen T. Asthma control and management in 8,000 European patients: the REcognise Asthma and LInk to Symptoms and Experience (REALISE) survey. NPJ Prim Care Respir Med. 2014;24:14009. Martinez FD, Vercelli D. Asthma. Lancet. 2013;382(9901):1360-1372. Global Initiative on Asthma (GINA). Global strategy for asthma management and prevention. 2016. Accessed 14 Nov, 2016.
van der Molen T, Postma DS, Martin RJ, et al. Effectiveness of initiating extrafine-particle versus fine-particle inhaled corticosteroids as asthma therapy in the Netherlands. BMC Pulm Med. 2016;16(1):80. Fairfax A, Hall I, Spelman R. A randomized, double-blind comparison of beclomethasone dipropionate extrafine aerosol and fluticasone propionate. Ann Allergy Asthma Immunol. 2001;86(5):575-582. Postma DS, Dekhuijzen R, van der Molen T, et al. Asthma-Related Outcomes in Patients Initiating Extrafine Ciclesonide or Fine-Particle Inhaled Corticosteroids. Allergy Asthma Immunol Res. 2017;9(2):116-125. CPRD. The Clinical Practice Research Datalink (CPRD). https://www.cprd.com/home/, 2016.